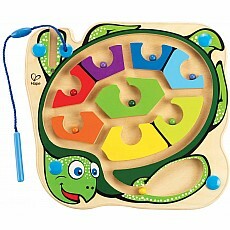 Colorback Sea Turtle - Totally Thomas Inc. 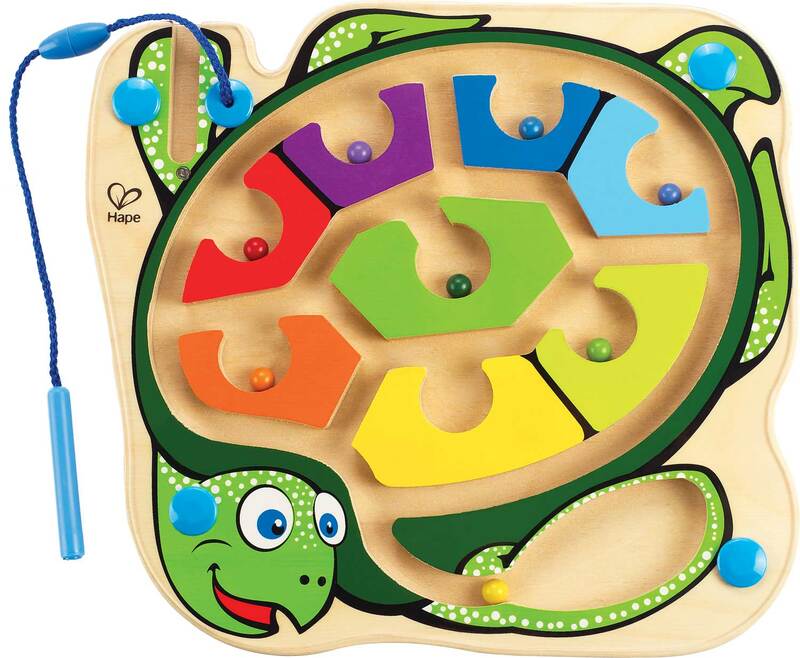 The gorgeous turtle shell of Hape's Colorback Sea Turtle makes for a very engaging magnetic marble maze. The colored marbles can be guided out of the turtle fin to the matching colored tiles on the Colorback Sea Turtle's shell! 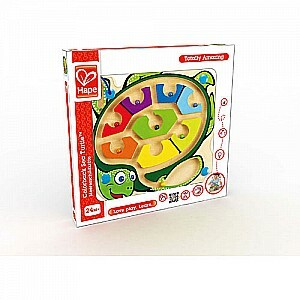 The maze toy is constructed according to the high-quality standards of Hape Toys, with Baltic Birch plywood and acrylic plastic firmly sealing the magnetic marbles inside the toy. 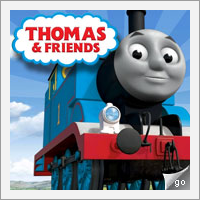 For ages 24 months and up. 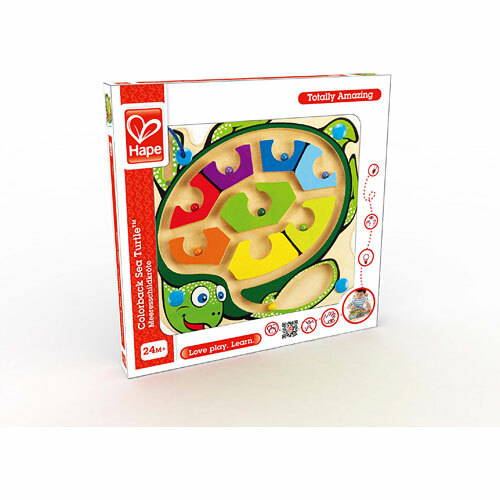 Measures approximately: 11.03 x 1.14 x 10.84 inches..
-Hape's Colorback Sea Turtle is a great friend to have around for little ones to practice matching colors and improve hand-eye coordination and fine motor skills. 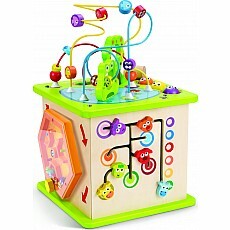 -Recipient of Baby Zone's 2008 Amazing Toy award. 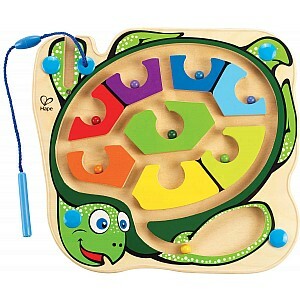 -The Colorback Sea Turtle is one unit with no additional pieces. 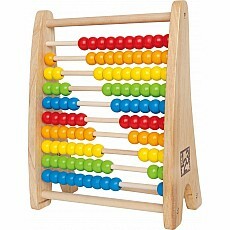 -Made from Baltic Birch plywood from FSC-managed forests, and recycled plastic. The string is textile. 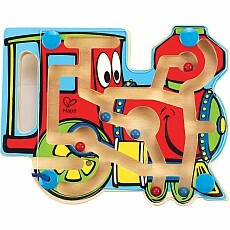 Graphics are screen-printed directly on the wood. Finished with child-safe paint. 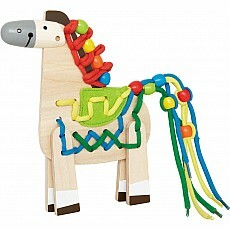 -Made by Hape, a leader in designing and manufacturing high quality baby and children's toys made from sustainable materials.